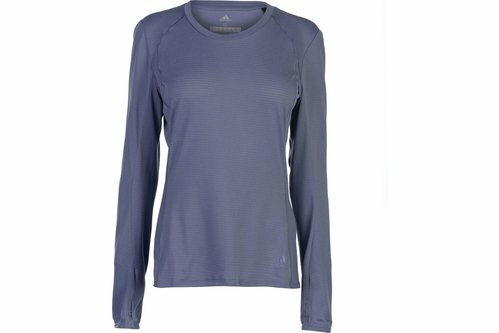 Perfect for a hard workout make sure you wear this adidas FR SuperNova Ladies Long Sleeve T-Shirt in Raw Indigo to get the most out of your session. This adidas FR Supernova long sleeve t-shirt is designed with long sleeves and a crew neck, giving a simple but stylish look. It is a lightweight construction allowing easy movement when running and is a regular fit. This t-shirt is a block colour, has a printed logo and is complete with adidas branding in the bottom corner.